Dollar Sign And Bundle Of Money PowerPoint Templates And PowerPoint Themes 1012-"Microsoft Powerpoint Templates and Background with dollar sign and bundle of money"-Dollar Sign And Bundle Of Money PowerPoint Templates And PowerPoint Themes 1012-This PowerPoint template can be used for presentations relating to-"Dollar sign and bundle of money, business, money, finance, success, signs" Develop their attitude for fairplay. Dwell on the benefits with our Dollar Sign And Bundle Of Money PowerPoint Templates And PowerPoint Themes 1012. 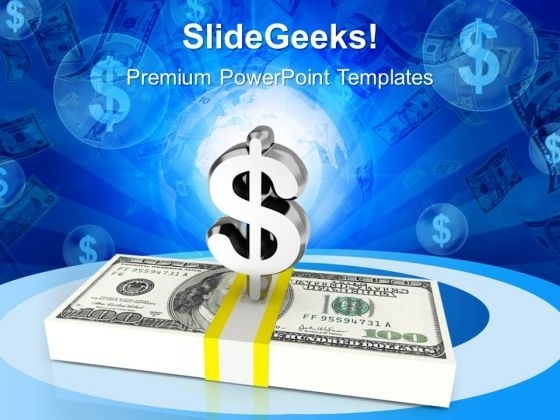 Display world class operations with our Dollar Sign And Bundle Of Money PowerPoint Templates And PowerPoint Themes 1012. They will make you look good.